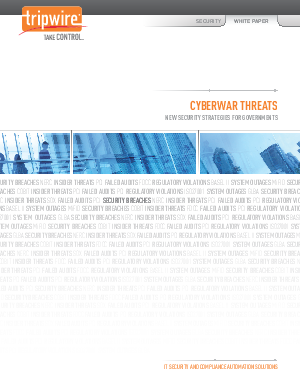 Cyberwar fundamentally changes how government must handle security. Faced with increasingly sophisticated attacks from gangs of cyber criminals and foreign governments probing systems for sensitive data, threats frequently go undetected for days, weeks, and even months. And it’s not just financial data being stolen. Terrorists and rogue governments may steal confidential data, including intelligence information, that exposes a country and its citizens to potential harm. Unfortunately, the traditional fortress approach no longer suffices. Firewalls, intrusion detection systems and other security devices can stop the average hacker, but new threats use stealth techniques that these defenses cannot detect on their own.